Please contact me for any blog posts or articles so we can begin to widen your audience and increase your brand awareness. Getting top search results on search engines can boost traffic to your website and increase your chances of getting new business. Below you’ll find the Google search result image for my Bank of America article on SeekingAlpha.com. Despite being one of the most widely covered stocks, the article remained a top story the following day. If you click on the article link, you’ll be taken to the article originally published on SeekingAlpha.com as Bank of America: How The Bullish Channel Might Play Out. 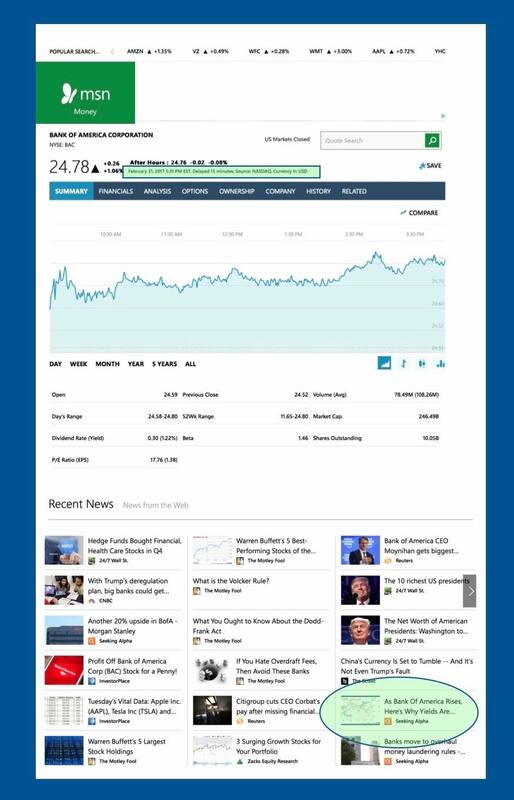 My article containing correlation analysis between Treasury yields and the stock price of Bank of America was featured on MSN Money and trended well. Although Seeking Alpha has a partnership with MSN for article sharing, through algorithms, only articles with good click-through rates and page views get picked up. 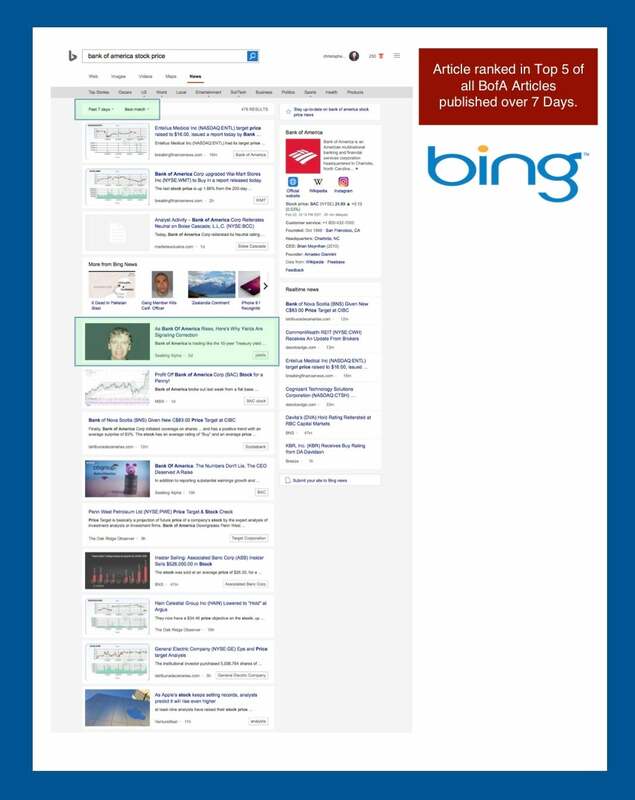 My article on Seeking Alpha about spotting stock corrections for Bank of America was a trending article over 7 days on Bing. Sustaining article momentum is important for extending the shelf life of your article. 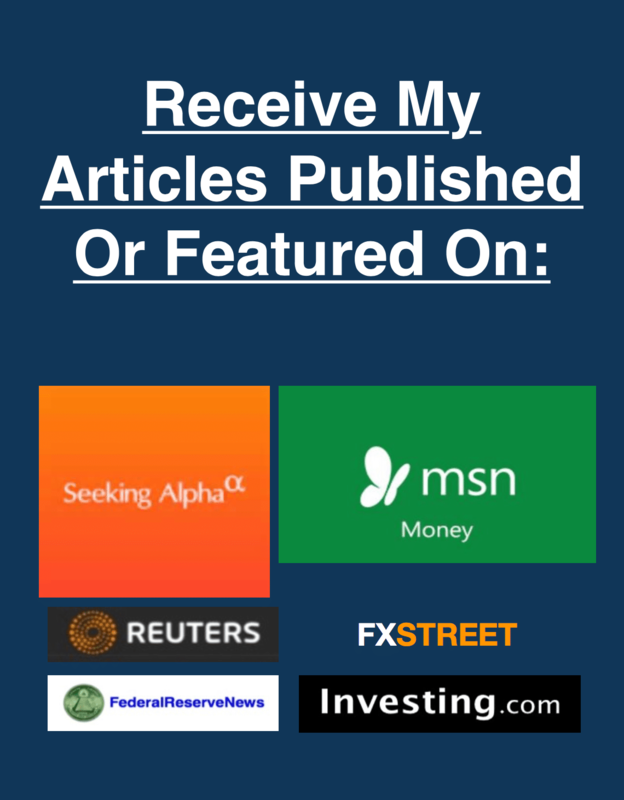 In addition to publishing on Seeking Alpha, I also promote my articles on my website, stocktwits.com, and on LinkedIn groups where I gain exposure to over 1mm LinkedIn readers.